By Melissa Lennig on August 9, 2015 1 Comment. This content contains affiliate links. As an Amazon Associate I earn from qualifying purchases. Perhaps a cardboard box’s true purpose, rather than packing and shipping, is to remind parents that kids don’t need much to play happily. Our most recent Amazon delivery box has lived 3 lives so far: 1) a box 2) a spaceship, complete with intergalactic pizza delivery service 3) a jetpack, perfect for zooming, flying, buzzing, and hyper-speeding through space. 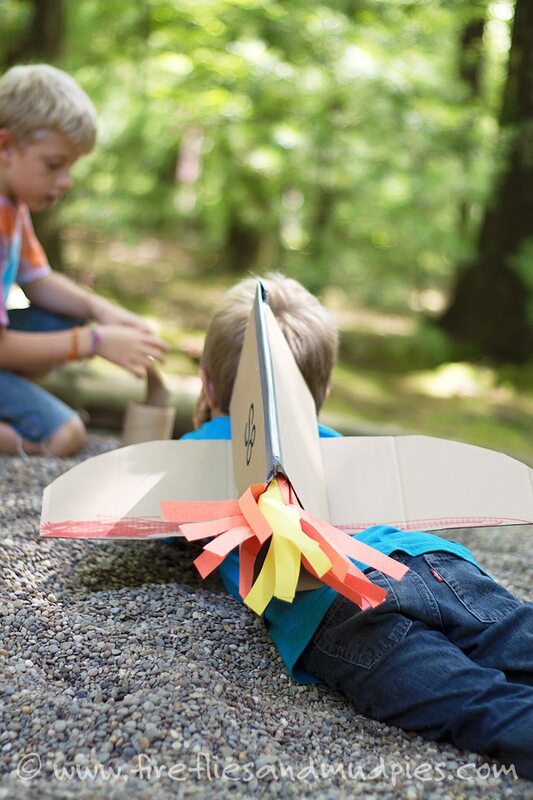 One of my favorite things about cardboard box play is that it is usually spontaneous. A box is sitting in a corner…a child picks it up…and by the magic of imagination, it becomes something wonderful. 1. Use the floppy part of the box to create the main body of the jetpack. Secure with tape. 2. 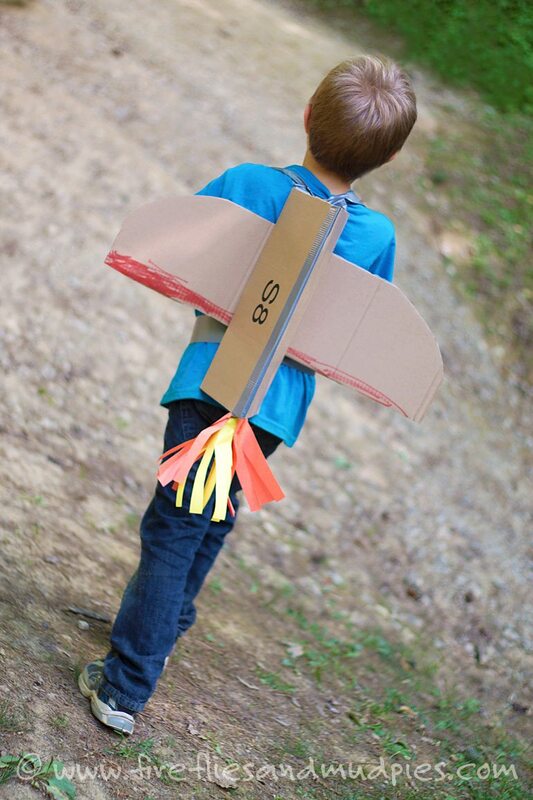 Use the long, horizontal part of the box to create the wings of the jetpack. Secure them to the back of the jetpack with tape. If desired, curve the top by cutting the cardboard with scissors. 3. Cut orange and yellow construction paper into strips. Bunch one end together and secure it with tape. Attach it to the inside of the jetpack so “flames” hang out the bottom. 4. 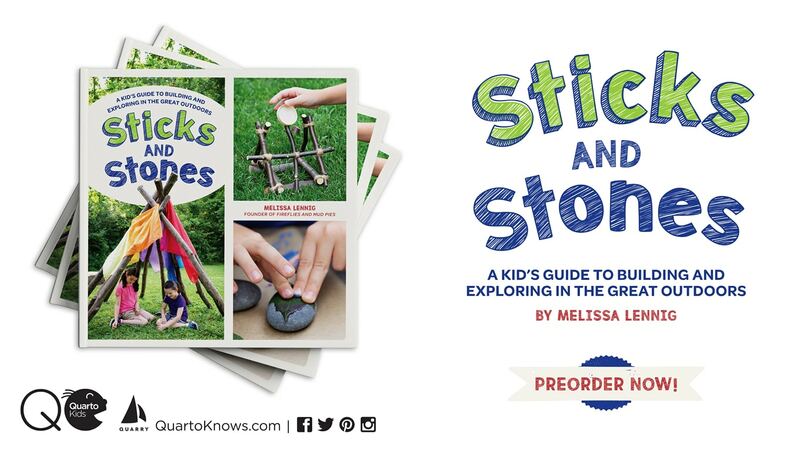 Create straps with the tape so your child can wear the jetpack. 5. 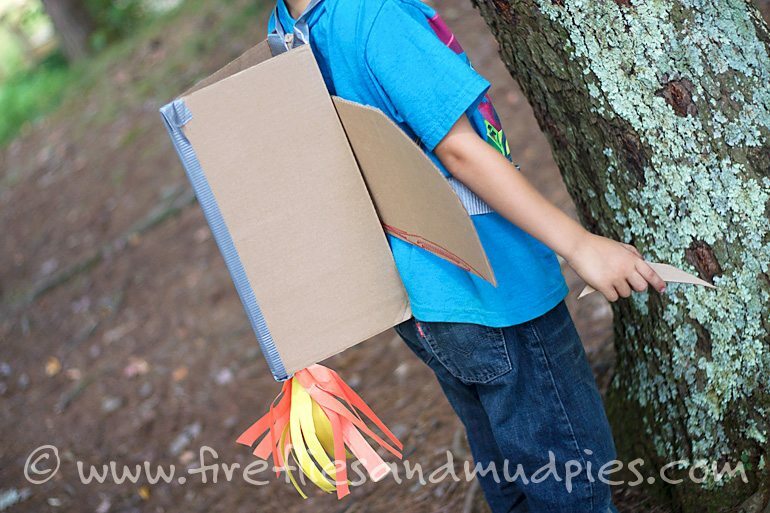 Invite your child to decorate their jetpack. Vague directions with no pictures? Yup. That’s the beauty of creating with cardboard boxes! The box you use will likely be different from mine…so it’s best to improvise! As my children played outside with their jetpacks, a rock pile became a new planet to discover. A tree became their ship. A group of Camp Counselors became a pack of alien space creatures. The boys played and imagined outdoors for hours! 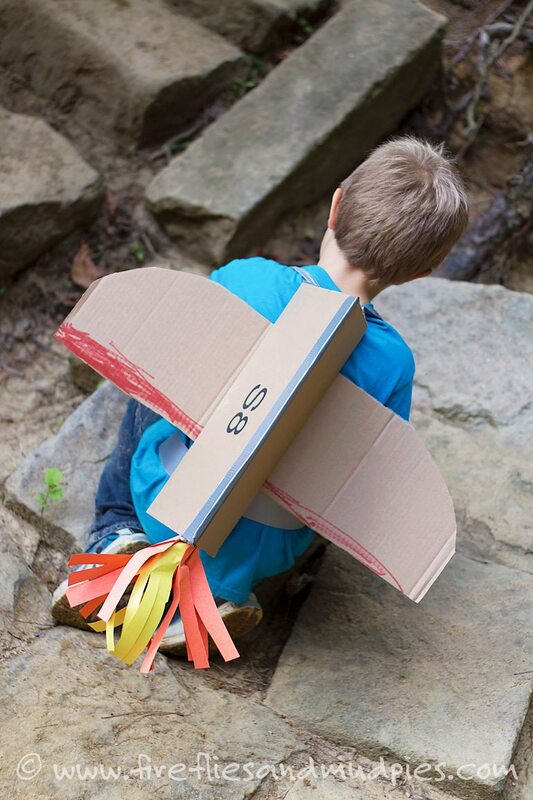 Do you currently have a cardboard box creation in your home? Stop by the Fireflies & Mud Pies Facebook page to share your photo!